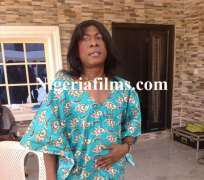 Osoufia, without much ado, is one of the best actors ever emerged in Nollywood. The comic actor recently posted some jokes and they are indeed rib-cracking ones. He recently dropped few jokes that are hilarious as well as didactic. Read some of his jokes and laugh your heart out! I know Money does not buy Happiness but I would rather Cry in a Ferrari.